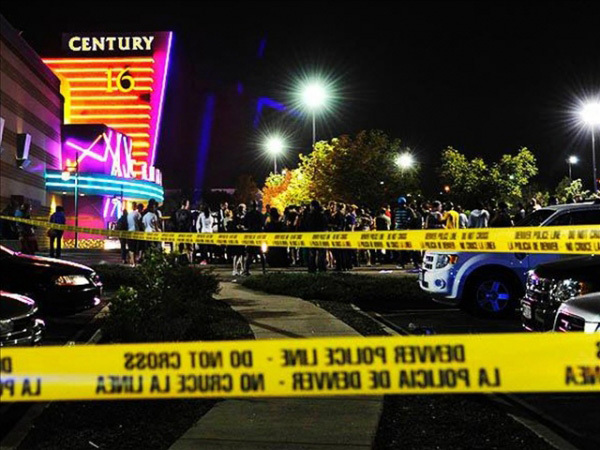 A tragedy unfolded on Friday in a movie theater in Colorado. By now everyone is well-versed in the details which are unnecessary to recount here and likely as familiar with the twisted perpetrator who will also get no more mention than is needed. His name is irrelevant and printing it here would only further validate his desire for notoriety that he earned in the most deplorable way possible. But this isn’t being written to analyze what happened or even why. The frustrating truth is that in many cases the why is often unsatisfying and all too common – he was a disturbed individual who sought to externalize his pain by involving others in a desperate attempt to give his pathetic existence some meaning. You can’t make sense of the nonsensical. And any situation where young children* are coldly gunned down is the very definition of nonsensical. My real issue is what happened after as the word of this tragedy drifted into cyberspace and the commenters took over. This is when a new level of disturbing behavior came into view. I’m not referring to the gallows humor that inevitably becomes a part of any tragedy. The internet is a breeding ground for mostly immature, mostly male, mostly teenage (some literally, the rest emotionally) idiots who come up with some tired retread of a joke followed by the oh-so-witty “too soon?” These don’t bother me so much. The far more disturbing responses nestled among the well-wishes, support and prayers to those affected, were the numerous people who actually seemed to delight in this news. They weren’t outright celebrating, but it’s hard to miss the genuine excitement in their responses because it granted them the latest opportunity to finger-point and blast their opposition. They can vent, rant and spew their angry rhetoric. Pro-gun. Anti-gun. Tea party. Occupy movement. Democrat. Republican. Pop culture haters. They all found the proof for their cause (and more importantly, against their opposition) in this tragedy. It’s not a stretch to imagine they lie in wait, hoping for a situation such as this to unfold so they can offer what basically amounts to “See! I told you so!” And this was a ripe one. Except that really this wasn’t about guns according to many, but politics. Happy posters saying it’s somehow Obama’s fault. Which isn’t possible when you consider all the ones blaming Bush. Or those who just blamed both saying it’s our divisive political culture that’s driving this sort of action. Or, no, it’s that group of flag-waving, bible-thumping, corporate shills, that call themselves the Tea Party who are always inciting violence through their anti-government rage. But hold on, actually this is the fault of the Occupy movement. Those freeloading, socialist/communist, unwashed masses who are just anti-business, anti-American balls of rage looking to unfairly assault anyone making an honest 7-figure wage. It was all of these and more, rearing their heads and espousing their tired “fill in the blank” rhetoric in every message board they infested. They all were so eager to paint this sub-human as the symbol of everything they hate, that in some cases they even shouted down those who simply wanted to offer a note of condolence. To the shouters, these simpering, simpletons just don’t “get it.” They don’t realize this is more than an isolated incident and that by not acknowledging this they are probably part of the problem. They can’t believe you don’t understand how this clearly validates their point of view, even when this one act somehow validates many points of view, even those that are diametrically opposed. Maybe next time** things can be different. Maybe next time, these people can wait a few weeks before trying to adopt another tragedy as just another talking point in their pet cause. Maybe they can actually remember that in the moments after a tragedy, assigning blame beyond the culprit does nothing but give greater meaning to meaningless act. It puts a person who is, and should be, a lone example of insanity, a group to identify with. It says that this one unstable individual is just part of larger cause, giving him greater relevance than he deserves. It may even allow some enterprising lawyer to convince his client that he was in fact influenced by whatever the internet says he was. That it’s not his fault. He’s a pawn in a larger battle. That in the end, he’s just another victim. Or at the very least, maybe people can just wait before taking sides and pointing fingers, so they don’t come across as so excited for yet another opportunity to take sides and point fingers. Because if a tragedy like this should show us anything, it’s that we need to be less divisive. Less angry. Less prone to attack and blame. Less eager to prop up people looking to do something extreme to call attention to their own tiny deficiencies. Yes, it’s a sick world sometimes, but that shouldn’t be something you’re eager to exploit. Because that’s when you really are part of the problem. *Another conversation could be had on the questionable parenting that had children younger than 8 attending a hyper-violent midnight movie in the first place, but alas that sort of common sense sadly falls on deaf (and defensive) ears. **And unfortunately there will be a next time. Not because of video games. Or movies. Or Republicans. Or Occupiers. Or the NRA. But because there are other mentally unstable people out there and it’s not always easy to tell until it’s too late.